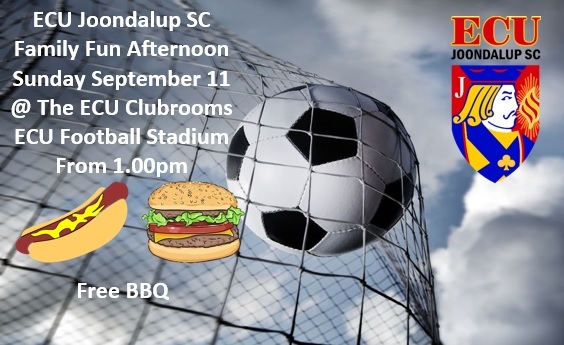 It’s been a fantastic season for ECU Joondalup Soccer Club, with the seniors and juniors all having a success year, and on Sunday the club will be holding a Family Fun afternoon at the Clubhouse starting at 1.00pm to celebrate the season. There will be reduced priced drinks for adults and children and hot dogs and burgers provided free of charge by the club. Everyone is invited, from Under 9’s to the First Team players, coaches, mums, dads and friends.